So you know how I mentioned that there's been some exciting things going on around here? Well, this is one of them! 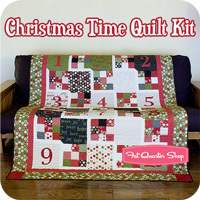 The Fat Quarter Shop has decided to use my One, Two, Buckle My Shoe pattern for their Christmas Time Quilt Kit! 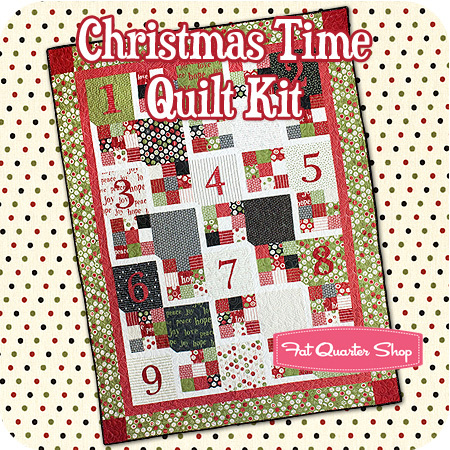 to have my patterns in the Fat Quarter Shop! Congratulations Amber! I saw it at the Fat Quarter Shop and on Sherri's blog. It's beautiful. I saw this in the coming soon section at FQS... such a great use of the pattern; it's really adorable with that fabric especially! Congratulations! That is soooooooooooooooo awesome!!! I am excited for you! Congratulations that your wishes came true. way to go Amber! That is really awesome! WooHoo! Congratulations Amber -- that's wonderful!